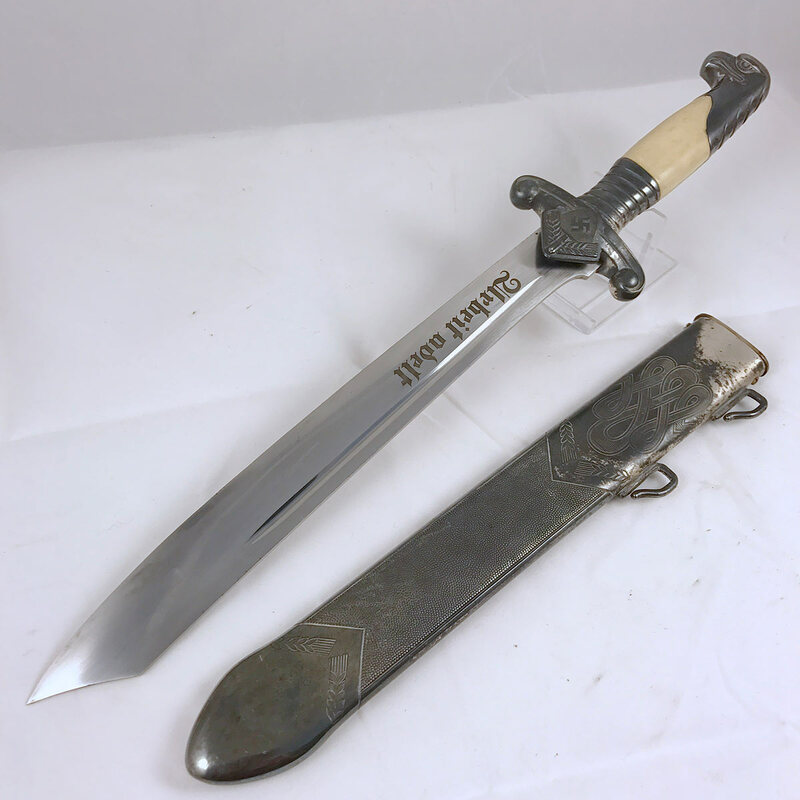 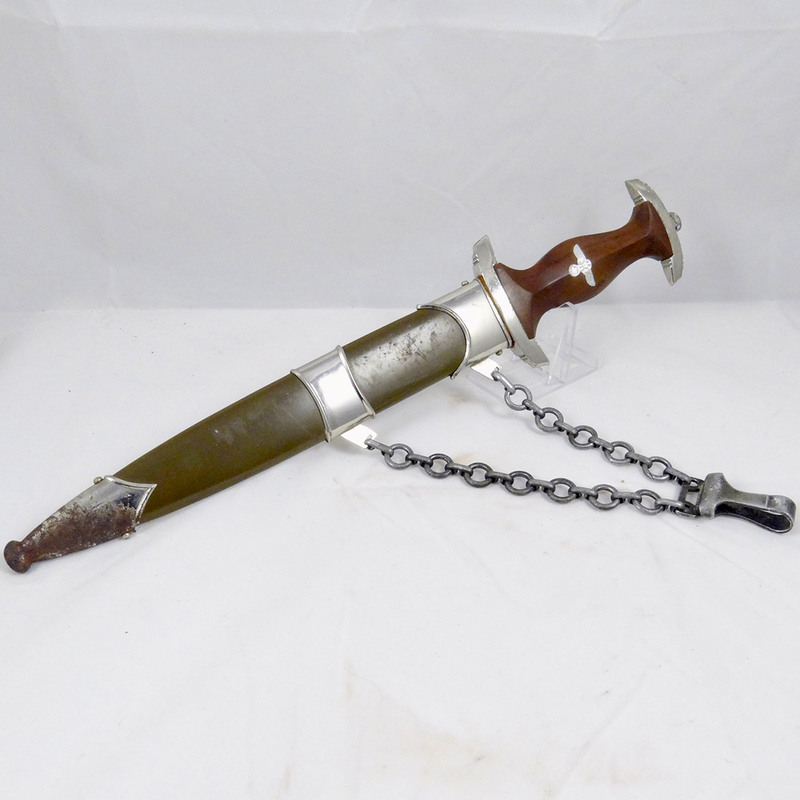 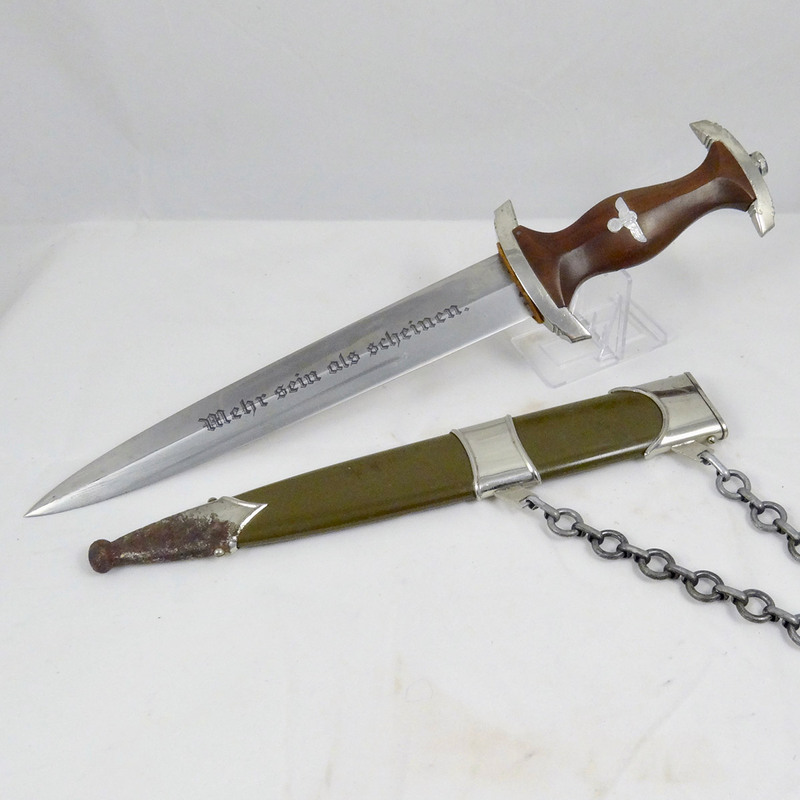 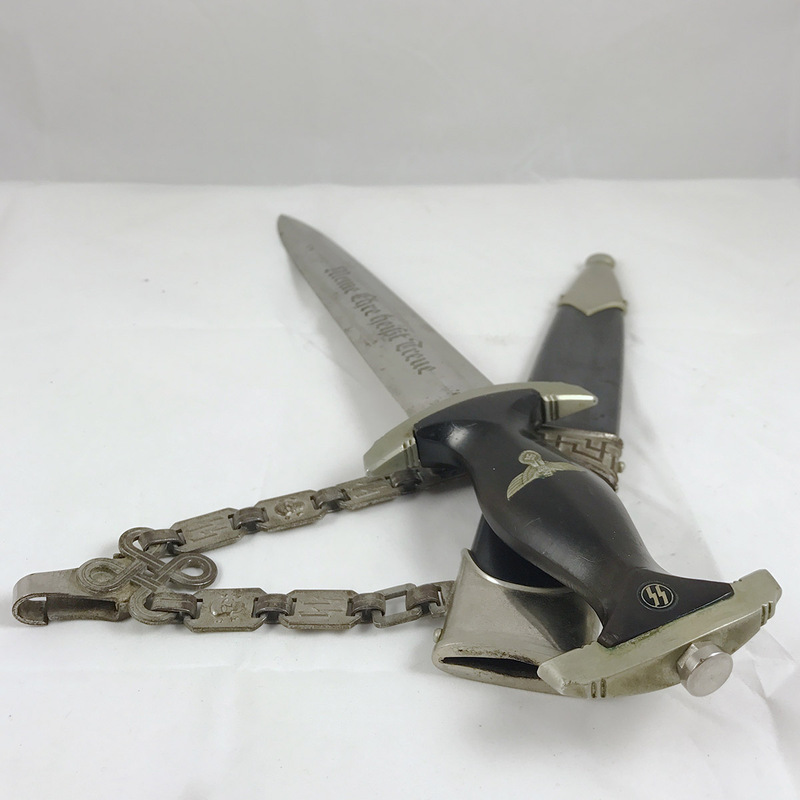 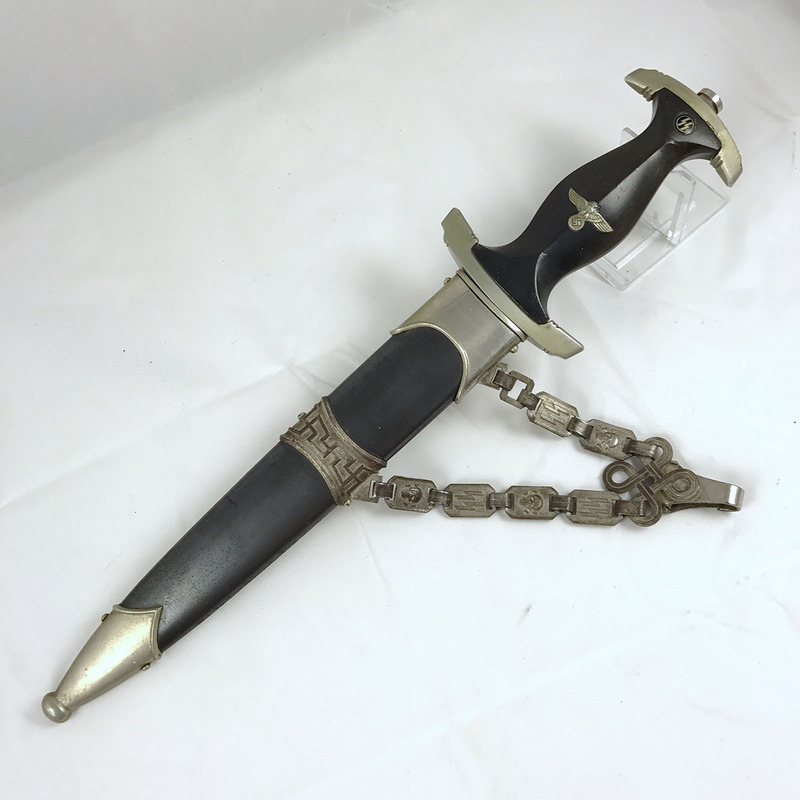 Here’s a really nice Eickhorn Navy (Kriegsmarine) Dagger with an absolutely beautiful blade, and a ton going for it. 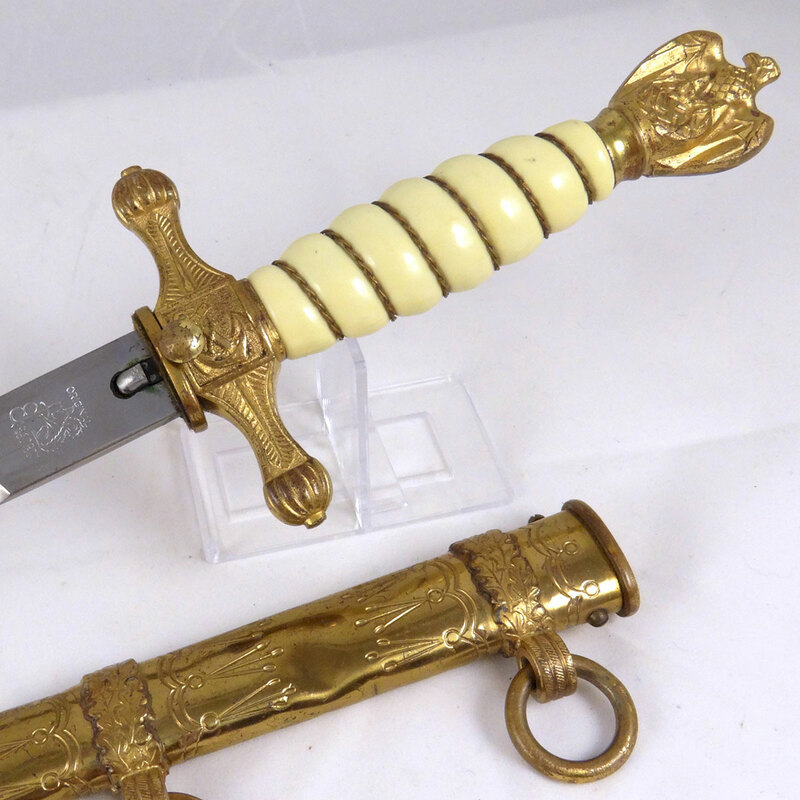 The grip and fittings are about as good as it gets, with no cracks to the ivory colored grip, and a very attractive patina to the gold colored fittings; just enough to give them age. 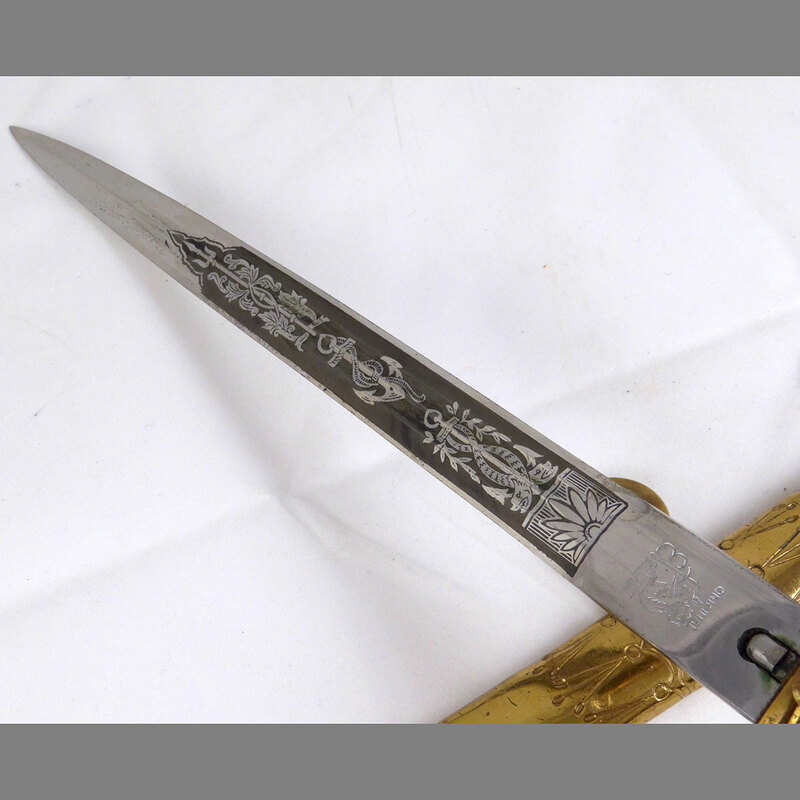 The blade is exceptional, showing almost no age whatsoever. 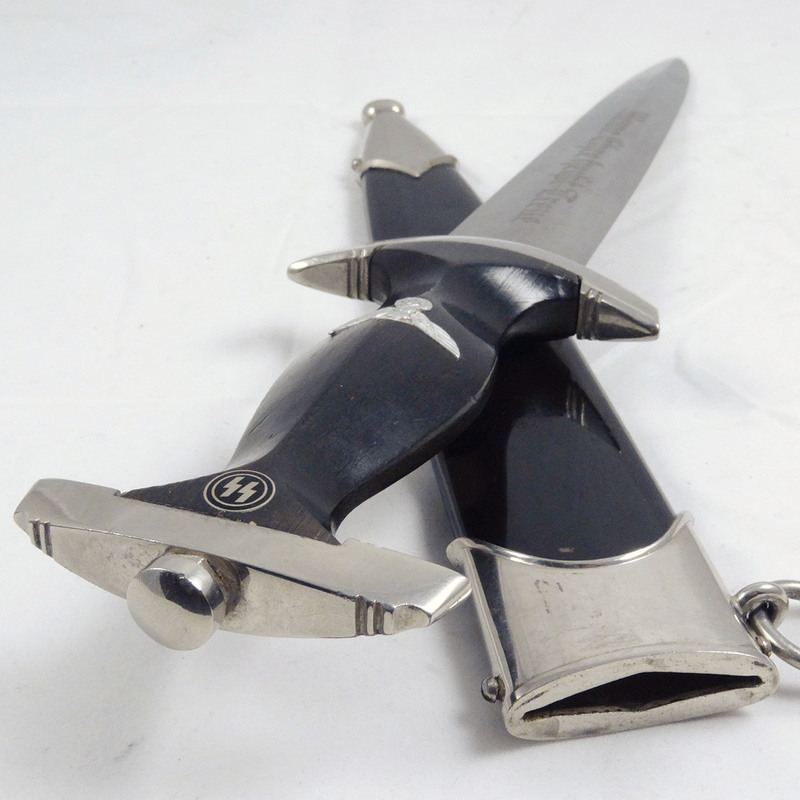 A nice and shiny surface with the deep gray fouled anchor etching that makes these daggers so attractive to collectors, and makes them display so well! 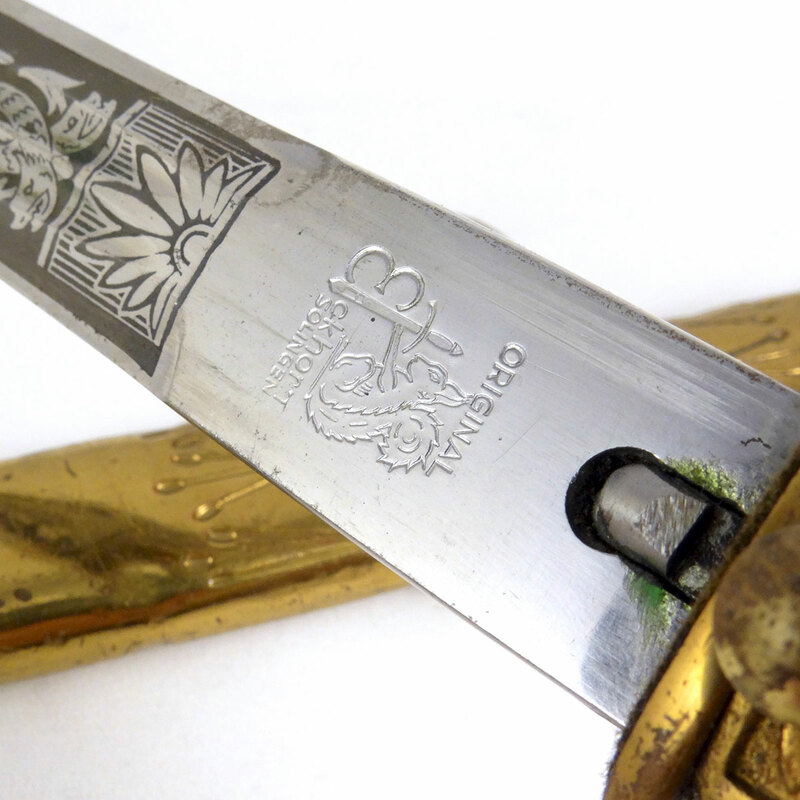 On the reverse we see the “Original Eickhorn Solingen” maker’s mark near the base of the crossguard. 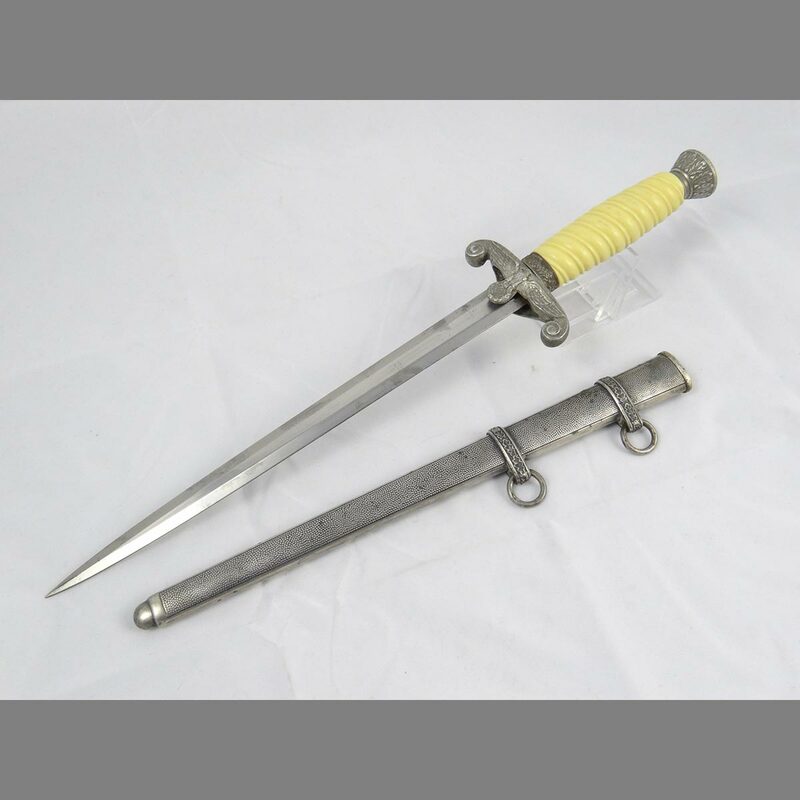 The scabbard shows the same age patina as the grip fittings, and is in overall great condition, save a few dings in the surface. 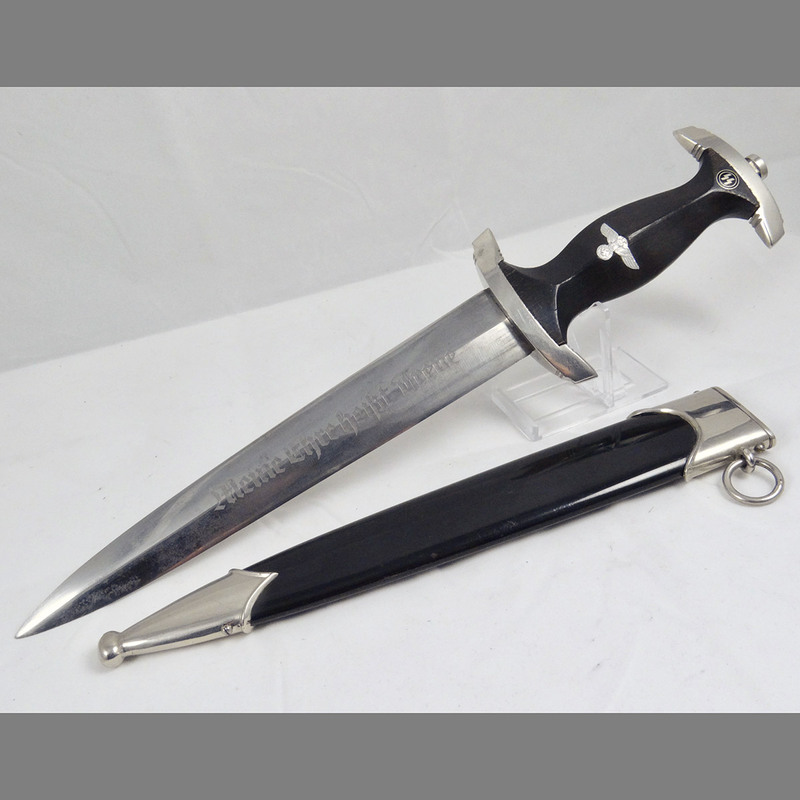 Most are minor, but a couple are more noticeable. 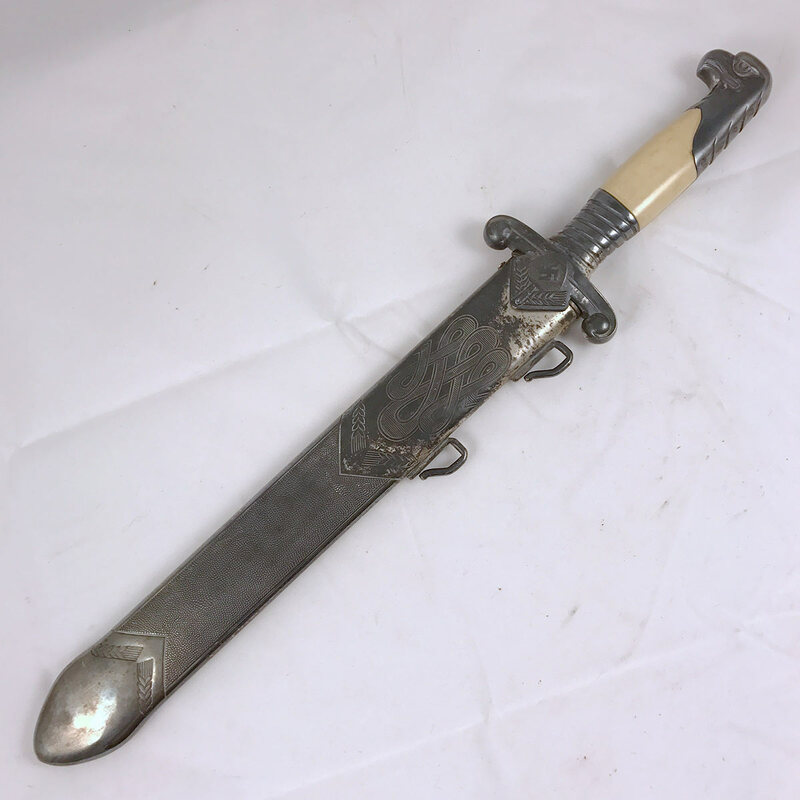 These scabbards are fairly soft in terms of resistance to impact, which is why it is somewhat hard to find one without at least one ding. 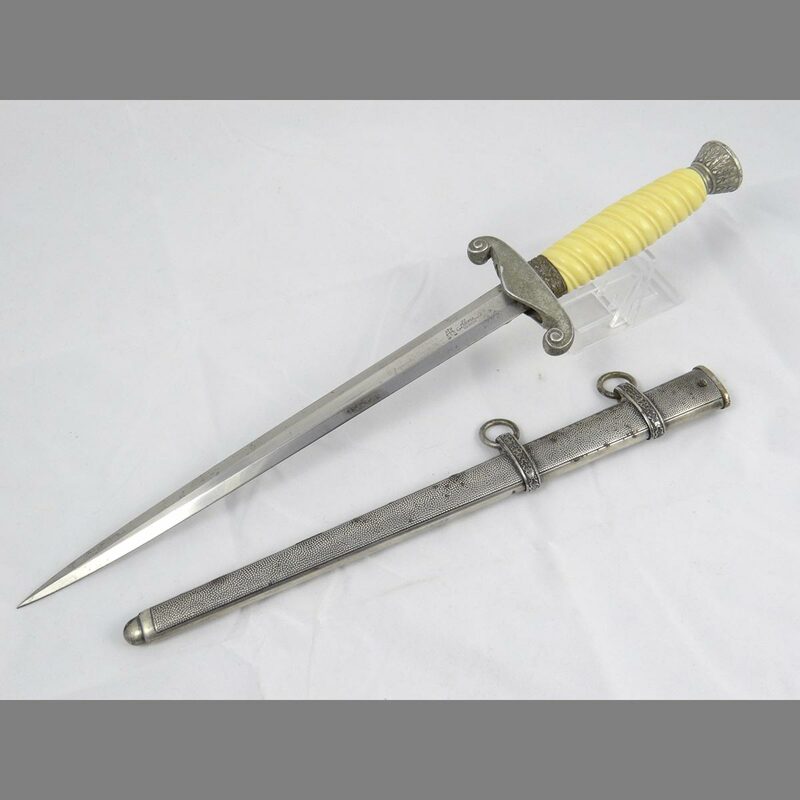 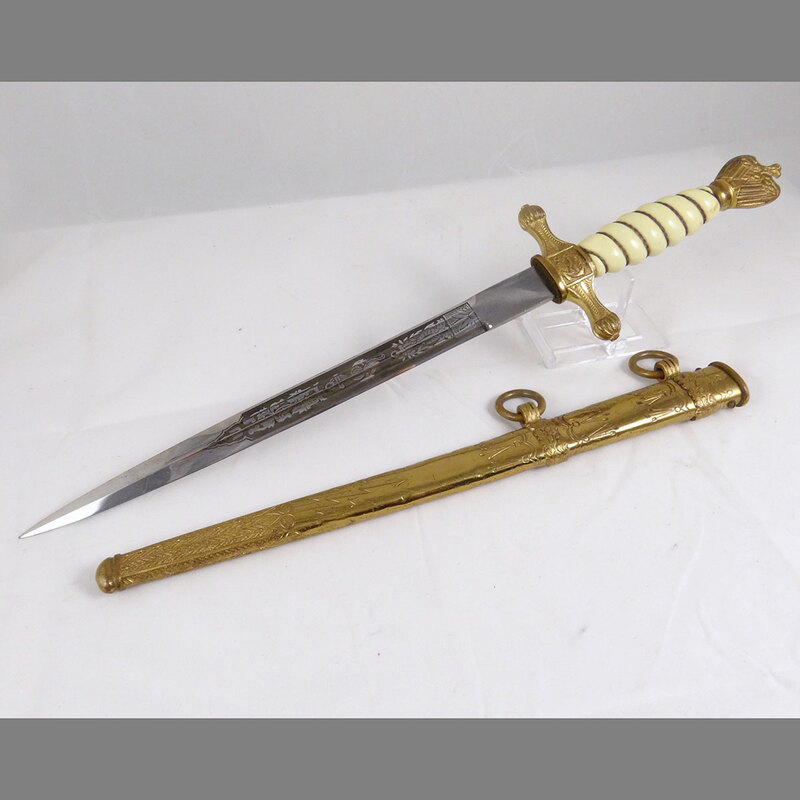 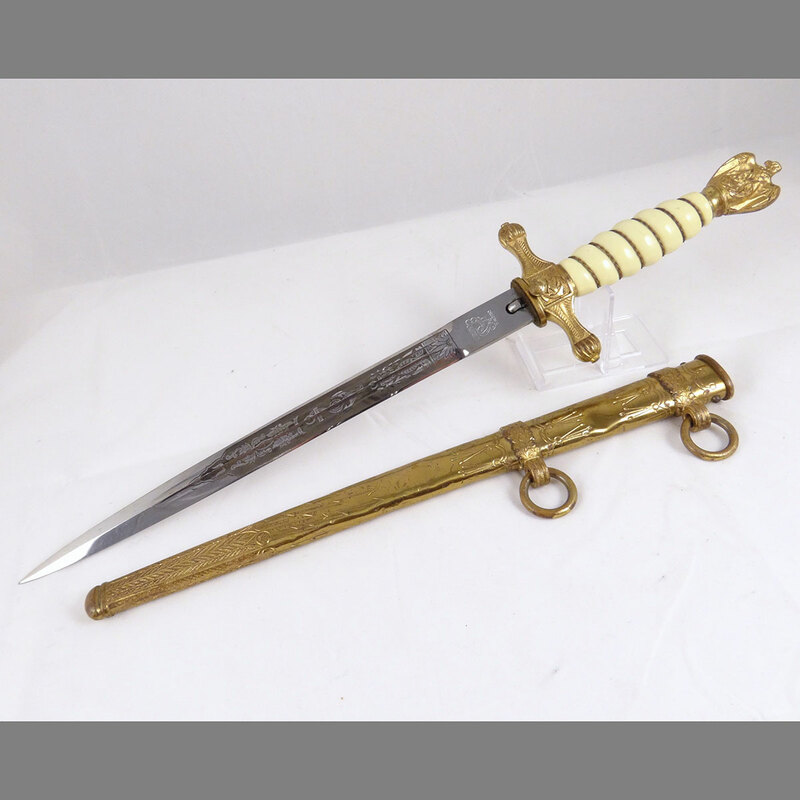 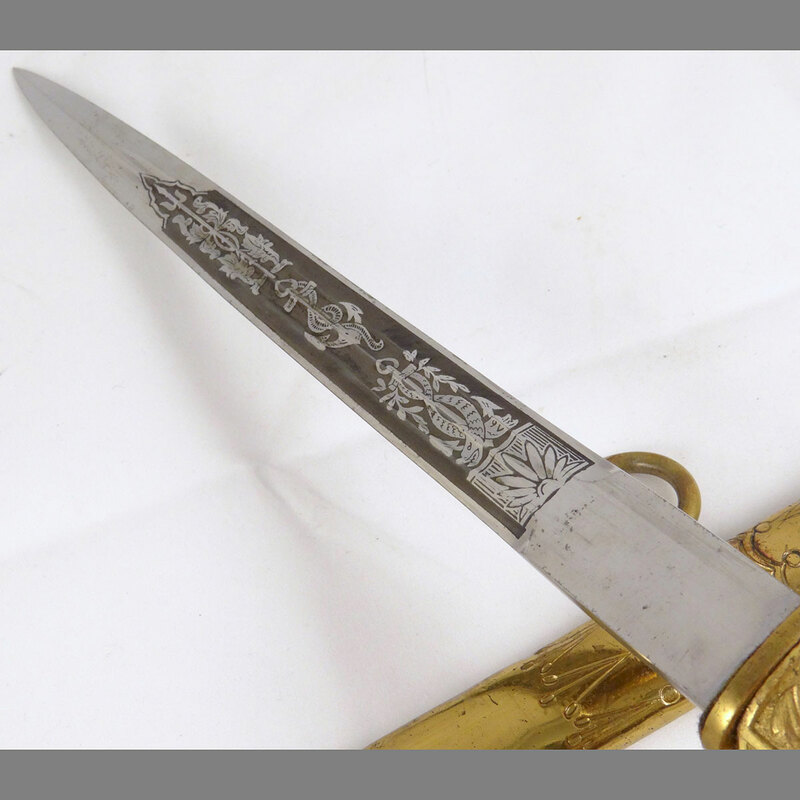 A very nice dagger for an attractive price, especially considering the dents can indeed be removed by a professional relatively cheaply.